Miliaria can occur in childrenand adults, but the kids in the force of the imperfect heat transfer suffer from it more often. This is not a dangerous phenomenon, easily amenable to treatment, and sometimes passing almost unnoticed. If the time to take action, the sweating sickness passes without a trace. Prickly heat occurs often in the hot summer weather and less frequently in winter, when the baby Kuta, sometimes during the disease as a result of sweating in the temperature. It appears in the result of overheating, looks like a small red rash that affects mainly places skin folds, upper back. 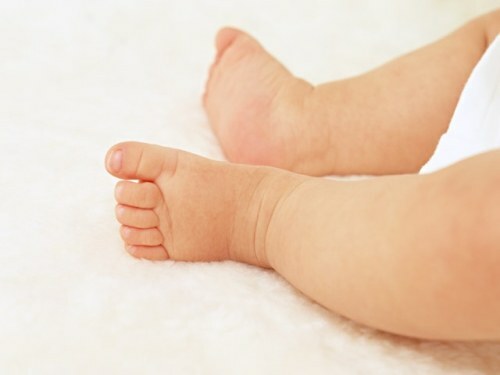 Usually it does not bother the baby, rarely causes mild itching, but can the improper or negligent care can become infected, and this is fraught with more serious problems. Of an allergic reaction , the rash can be distinguished just by the absence of itching and typical locations. If you notice the skin baby pink dots, pay more attention to hygiene procedures. Wash 1-2 times a day with baby soap and soft drying of the skin is able to deliver the baby from heat rash. Just be careful not to RUB the skin in the affected areas with a towel – irritated, easily injured, can join a secondary infection. With extensive lose trays can be made with a very weak (pale pink) solution of potassium permanganate. Helps treatment of the skin decoction of chamomile or succession. You can use baby powder, but in severe cases and zinc talker. Refrain from fatty creams go on light and moisturizing, or on a special baby cosmetic oil. Of course, often necessary to dress the baby, not to allow that he was in wet clothes, in a warm and wet areas. Children's clothing should be made of natural materials. If you missed the accession of a bacterial infection, consult your doctor, he will prescribe the necessary medicines. If the rash is accompanied by itching, may require the appointment of antihistamines.